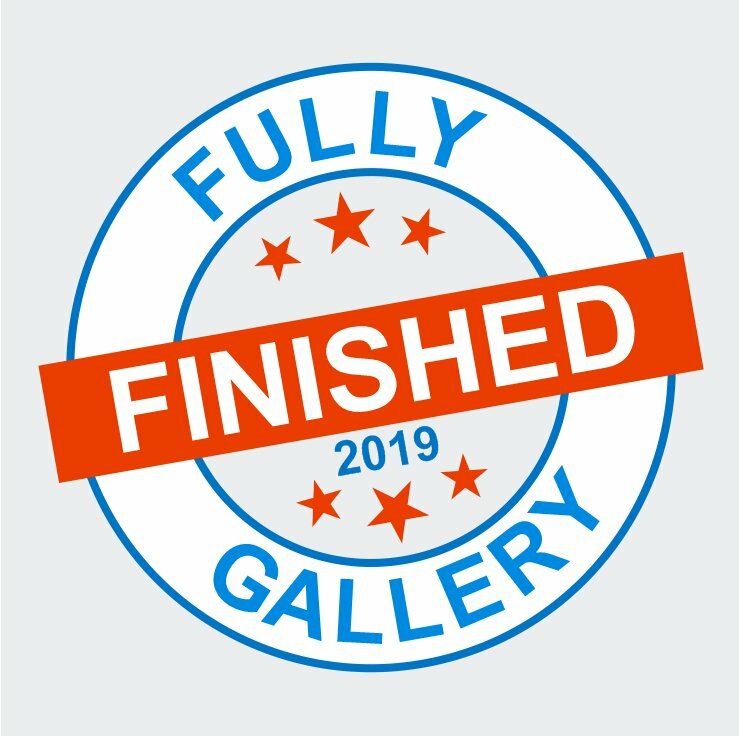 A total of 10.5 Finishes, plus 4 more active WIPs. 2.5 projects not worked on this year. A much better result than many previous years. I started 2017 with 19 WIPs and completed 6 of them. 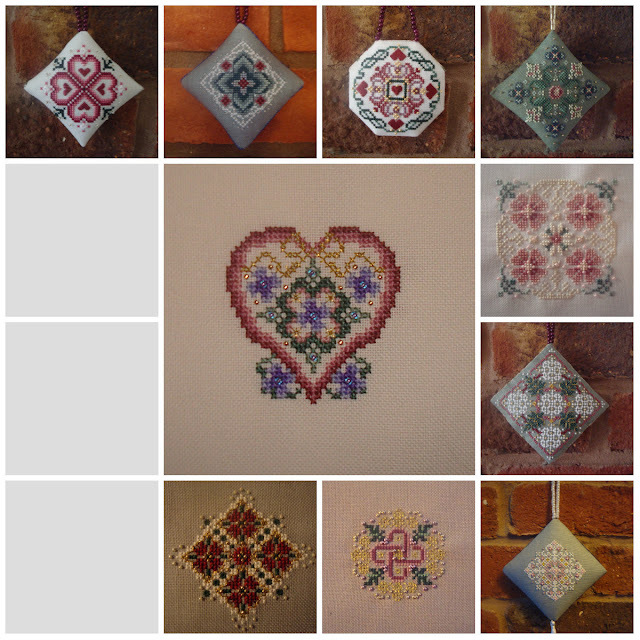 I then started 36 new projects over the course of the year and completed 22 of them (there were a LOT of smalls!). So that leaves me with a final total of 28 finishes and 27 WIPs. So let's have a look at those finishes! I couldn't quite squeeze the last Just Nan ornie in today as I was stitching 12 Days of Stitchmas. It will be the First Finish of 2018 instead. 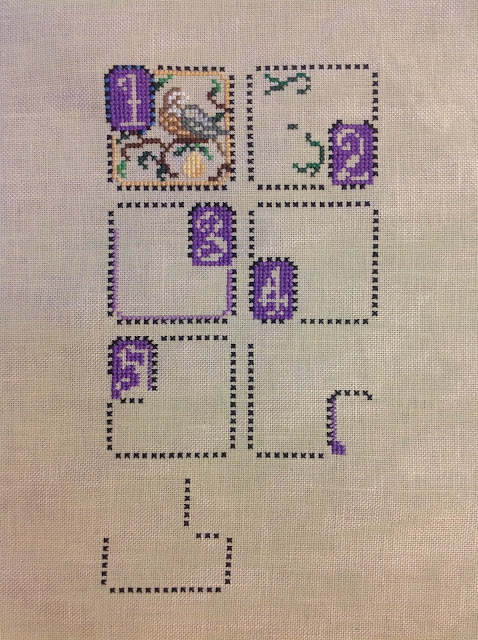 A month of focusing on just a few projects. It was definitely Joan Elliott's year (94 days) with Just Nan and Brooke's Books on almost the same number of days (29 and 30 respectively). I need the black Jobelan for the next Satsuma Street chart and the Just Nan was on half price sale at SewandSo. 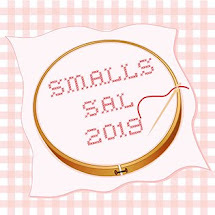 Nan is discontinuing a lot of her sampler charts as the charms are no longer easily available so when I see a bargain, I buy one. I totted up my expenditure for the whole year. Magazines are my weak point with subscriptions to 4 different publications - Just Cross Stitch, Cross Stitcher, Cross Stitch Crazy and Inspirations. I'm going to drop Crazy next year. I spent an equal amount on charts and fabric. I bought the tin of the new DMC colours but other than that I only spent £12.30 on Kreinik, Crescent Colours and Waterlilies for Mary. Which seems like a lot but there is my Birthday and Christmas money in there too. Measi has asked us to do an introductory post at the beginning of January so I will save my "18 in '18" plans until then. I have got the new Gifted Gorgeousness Sign-up Page done, so you can click on the tab at the top or the new photo on the side to access that. If you have the linky on your blog, don't forget to update it as the 2017 link will no longer work. Wow what a lot of gorgeous projects you've worked on and finished this year. May I ask what the piece is in the January to August photo montage with the beehive in the middle. I have become a little obsessed with bee charts recently. Happy New Year! Fantastic finishes, Jo! Amazing selection and quantity. And wonderful dedication on the JE piece... I can't wait to see what you stitch in 2018. You have made fantastic progress this year Jo. All of your projects are lovely. Looking forward to our SAL and hope like heck I can keep up. Looking forward to next years goals. Oh Jo, you accomplished a lot of stitchy gorgeousness! Wow wow wow! Your needle must have been smoking! I am so proud of you, dear friend. I'm really looking forward to seeing what 2018 brings for your project list and will be cheering you on...Happy New Year! Happy New Year Jo: I am a bit jealous, wow you have been busy, I do wish I had gotten more done this year, with Mike being ill, the loss of my Mother. 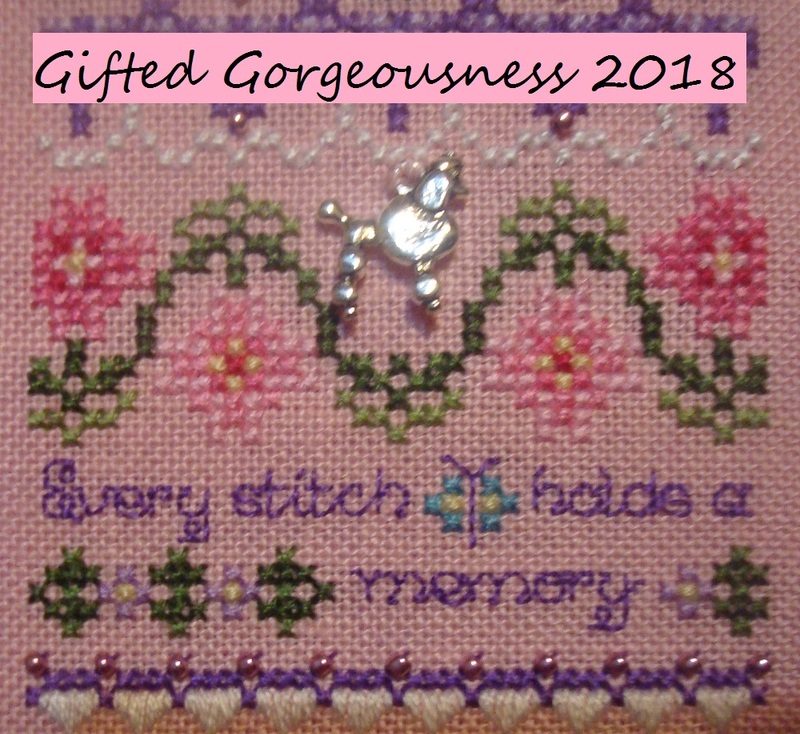 This was not a good year for stitching, 2018 is going to be better all around, I love reading your blog. Well done Jo on completing so much this year, there is always something lovely to see here and I know it will lift my spirits when you chat along. I've signed up for next year and changed my pic on the blog too.. will 2018 be the year I am a bit more organised? Looking forward to seeing your 12 Days grow, its one of my favourite JN designs. 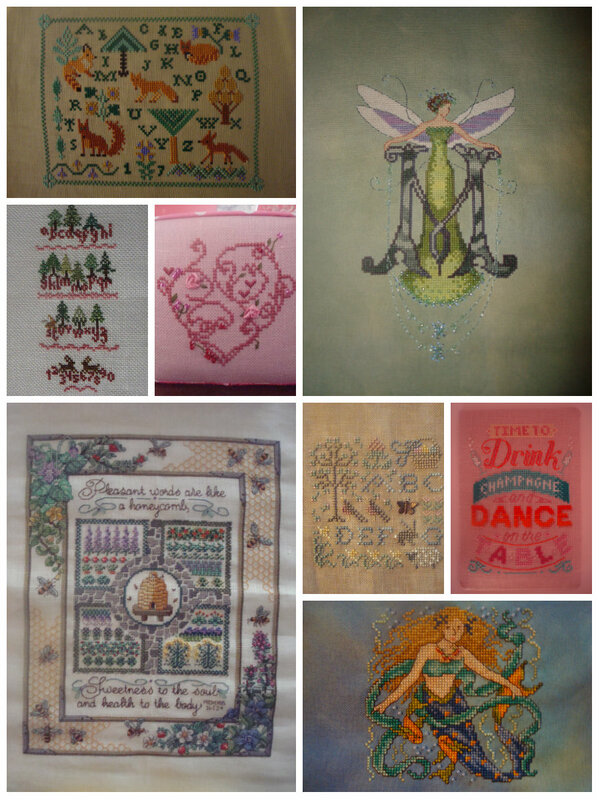 This year I will stitch a JN.... honest! The same wishes to you Jo. You have had a very productive year!! So many beautiful designs. Thanks for all you do for this community. You are a good cloud friend! Wohoo amazing progress. I've loved every post I see come across from you. It's been a great year following and cheering you along. Can't wait to see what you work on next year! A great wrap up of the stitchy year.congrats on all your finishes, some big ones there. 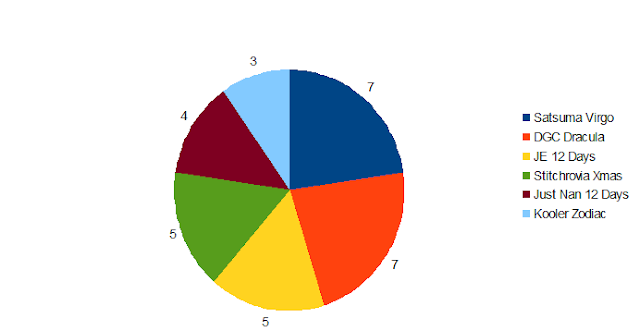 You inspire me to be organized and dedicated to the craft, ofcourse we share the love for pie charts. My eyes popped out looking at the total expenditure, but I guess you not into fancy clothes n shoes. Hope 2018 is good to you and your family !! Woo, all the lovely work that you needed three collages! You've had a wonderful year. It's hard to pick a favorite. I'll go with Happy Halloween or Witches or 12 Days this time! 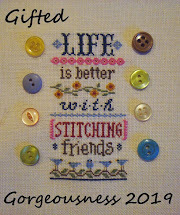 A Happy Stitchy Year to you! I signed up for GG and updated the images/links. And I got your e-cards; I shake my head in the general direction of postal services for their untimely deliveries. Maybe there were more cards to pass out this year! Great round up,lots of lovely stitching and finishing.Looking forward to reading about your 18 in 18 plans. So many lovely pieces! You are so organized to keep such close track of everything. Good luck in '18! You accomplished lot of beautiful stitching in 2017! Happy new year to you! 28 finishes, wow, that's a lot - and many of them were biggies. You were doing great job. Being as organized as you are really gets you somewhere. 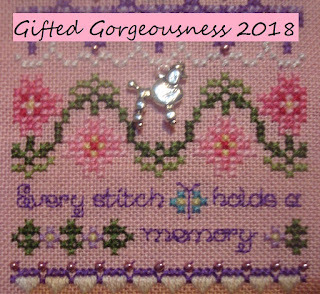 Good luck with your stitchy plans for 2018. And have a Happy New Year, you and your family. Happy New Year, Jo. An impressive list and photos of finishes. Huge congratulations on accomplishing so much this year! You had so many wonderful finishes and I hope you can extend beyond your goals for next year as well. What a wonderfully productive year you have had, Jo! 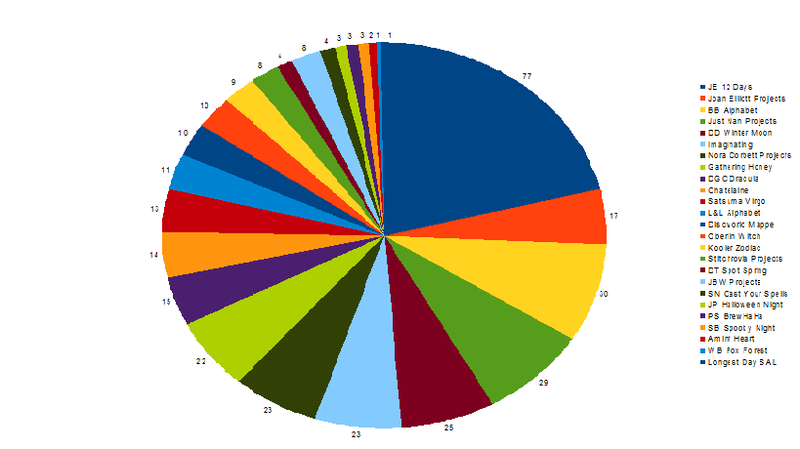 You really finished so many of your goals--good for you :) Your pie charts are beyond me--but they sure look pretty!! Wishing you every happiness in this new year! 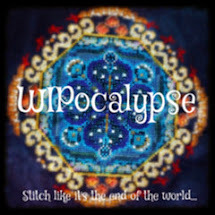 This confirms what I've known all all along - you've done incredibly well on your WIPocalypse list this year with so many pretty finishes, and it's even better knowing that a lot of these new WIPs were more Just Nan starts that will get finished off one by one by one :) I'm excited to see what next year holds! 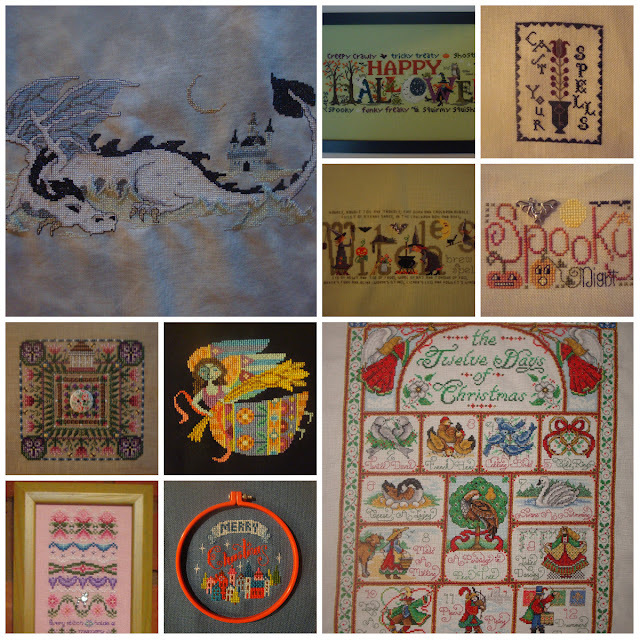 Wow, you did a crazy amount of stitching this year! You have got to be proud of all of that progress (I think I'm proud on your behalf - haha - I'm definitely amazed! ).